Guitar Pro opens correctly and you can hear the introduction jingle during the opening but no sound comes out from the program when you play a file. 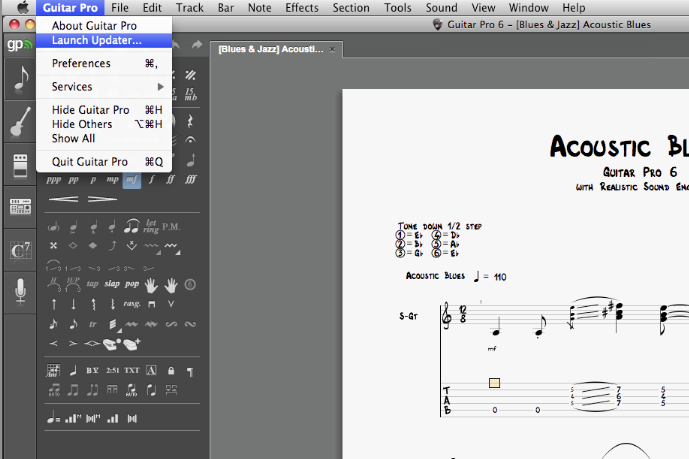 Once Guitar Pro has been correctly installed on your computer you still need to download and install the last available updates and soundbanks. Launch the Updater from the "Help" pane and install any available updates. 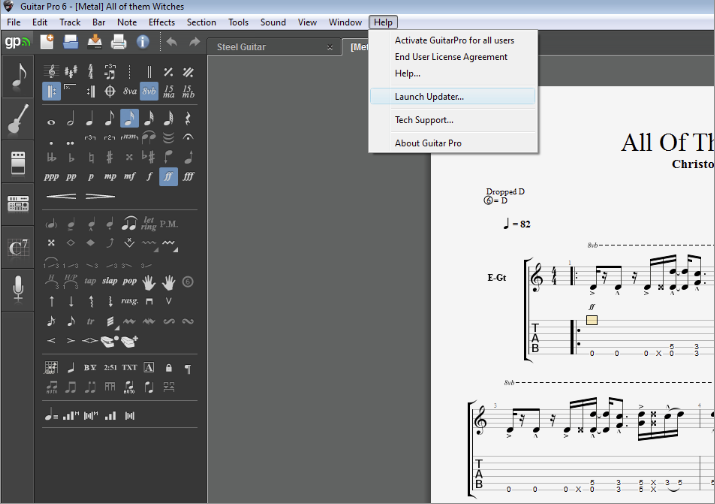 Launch the Updater from the "Guitar Pro" pane and install any available updates. In some rare occasions your resident protection, network or proxy can prevent you from downloading the update or soundbanks successfully, if for any reason you can not install the sound banks from the updater, you can still connect to your Customer Area and download the sound banks manually.